Packaging Dimension (WxLxH) 32x23x5 cm. Early mathematics and construction manipulative. 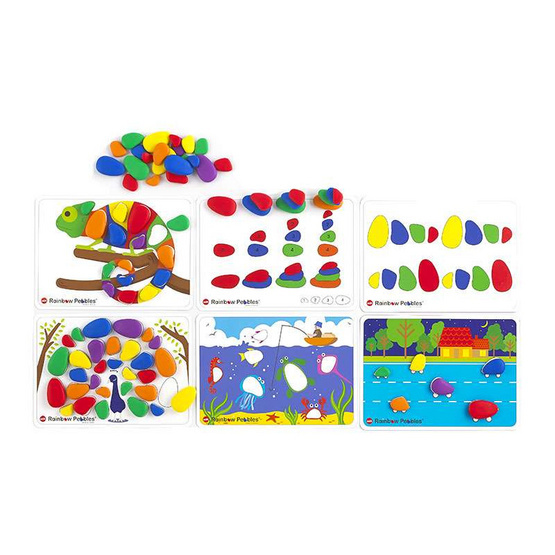 Set includes 48 pebbles in 4 sizes and 6 colors, with 12x2-sided A4 activity cards.